The total value of movable and immovable assets of Rakesh Singh is Rs 2.14 crore (including inherited immovable assets of Rs 1.76 crore), his declaration said. 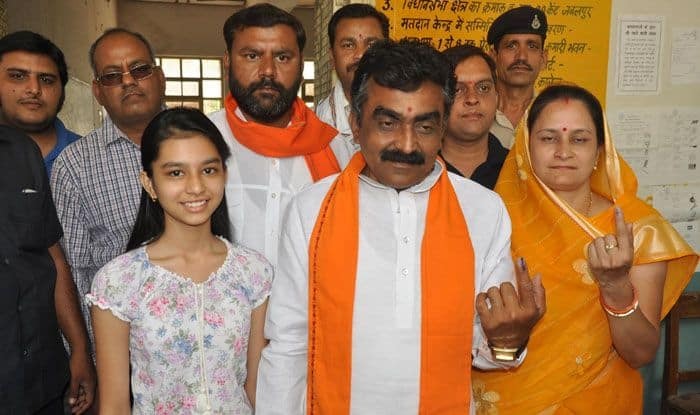 The wealth of Madhya Pradesh BJP chief and the party’s Jabalpur Lok Sabha candidate Rakesh Singh increased by over one and a half times to Rs 2.14 crore in five years, his election affidavit said. Singh, the three-time local MP, filed his nomination on Monday. The affidavit also mentioned that he was a farmer, and a criminal case was pending against him. The total value of movable and immovable assets of Rakesh Singh is Rs 2.14 crore (including inherited immovable assets of Rs 1.76 crore), his declaration said. His total assets were worth Rs 1.36 crore (including Rs 1.10 crore-worth inherited immovable assets) in 2014. His wife Mala Singh’s movable and immovable properties are worth Rs 2.11 crore (including self-acquired immovable assets of Rs 1.11 crore), the affidavit said. This was an increase of Rs 86 lakh from Rs 1.25 crore (including self-acquired immovable assets of Rs 97.58 lakh) she had declared in 2014. While Singh said he has no liability, his wife showed liabilities in form of a loan of Rs 13.87 lakh. Singh owns agricultural land of 24.29 acres (worth Rs 1.76 crore) while his wife owns a 3,000 sq ft plot of non-agricultural land worth Rs 1.11 crore, it added. Singh owns jewellery worth Rs 2.29 lakh and his wife possesses jewllery worth Rs 21.60 lakh, it said. A criminal case is pending in a court against Singh for allegedly obstructing train operations during a demonstration held here in 2010, it said. The MP also declared that he possessed a .32 bore revolver.